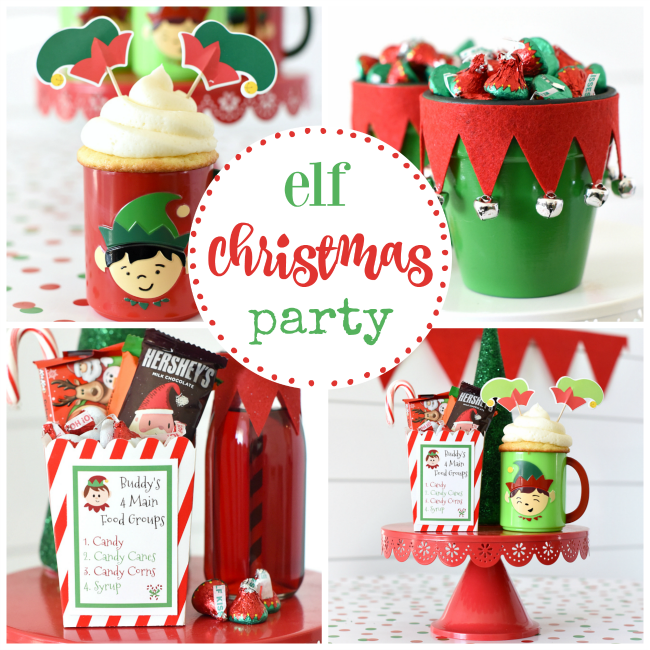 A Peek at the Fun: Here’s a fun DIY gift for your neighbors this Christmas season-a cute Elf and Santa candy pot that is filled with candy. 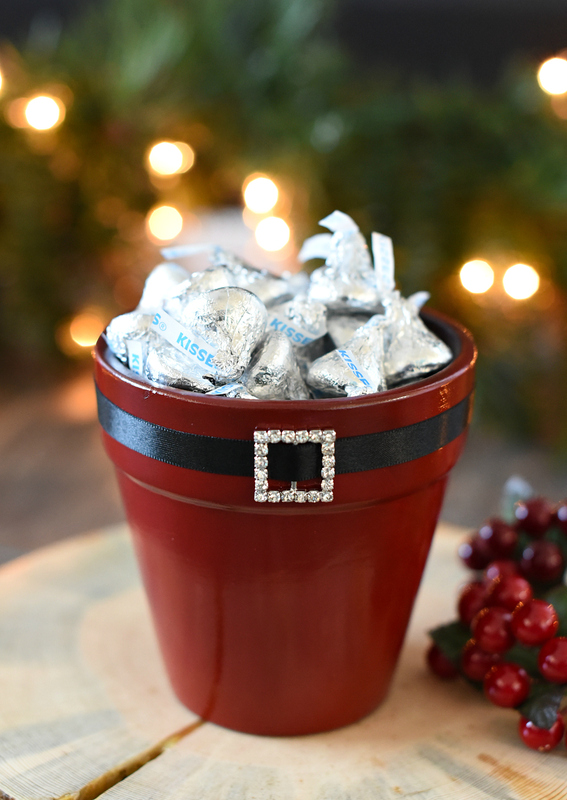 Grab a flower pot and paint and decorate it, then fill it with candy and it’s a great gift! Our friend texted us the other day to show us the fun holiday crafts she’d been working on all day and we were both a little bit jealous of her fun day of working on a Christmas project! 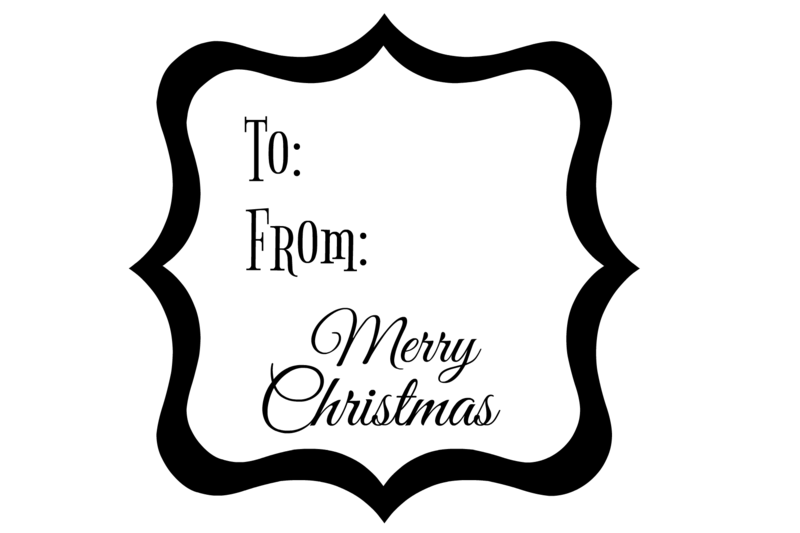 What’s better than listening to Christmas music or watching a fun holiday movie while working on something for the holidays in a warm, cozy house? 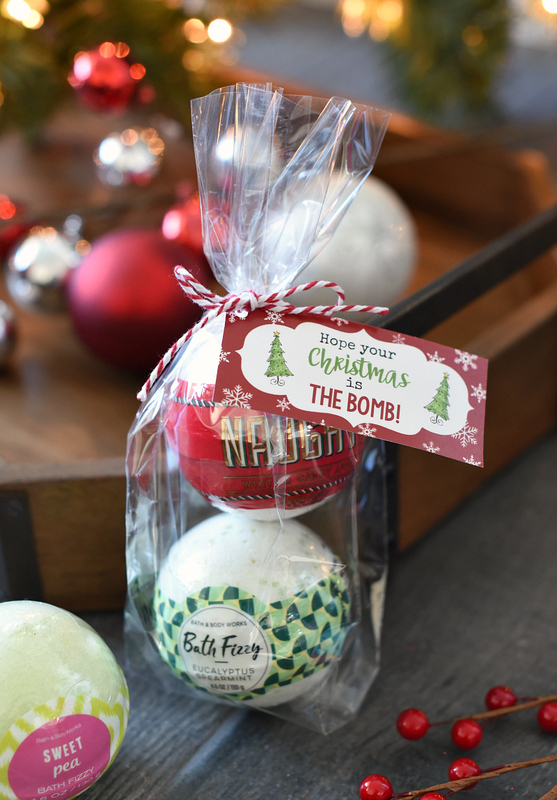 Fun projects at Christmas that you can sit down, dig into and spend a few hours enjoying are the best! 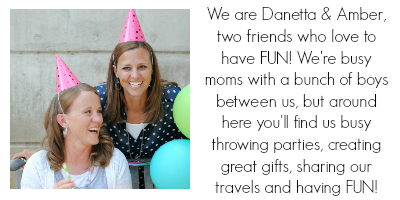 And when you can take them to friends AND fill them with chocolate-even better! 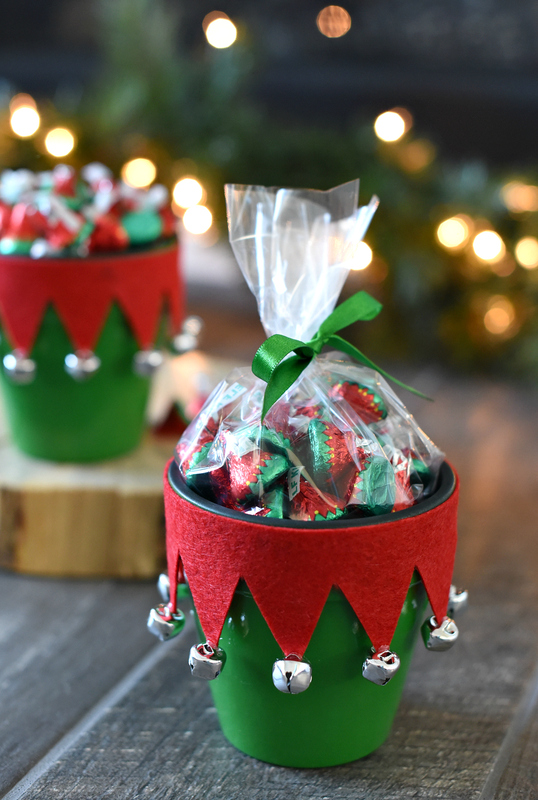 We had fun creating these cute Santa and Elf themed candy dishes made from flower pots. 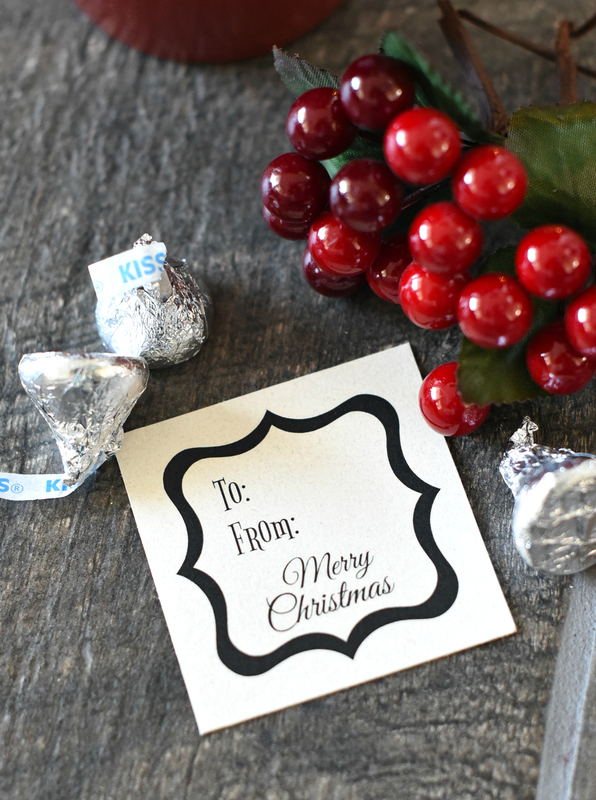 It’s a perfect project for the holidays. 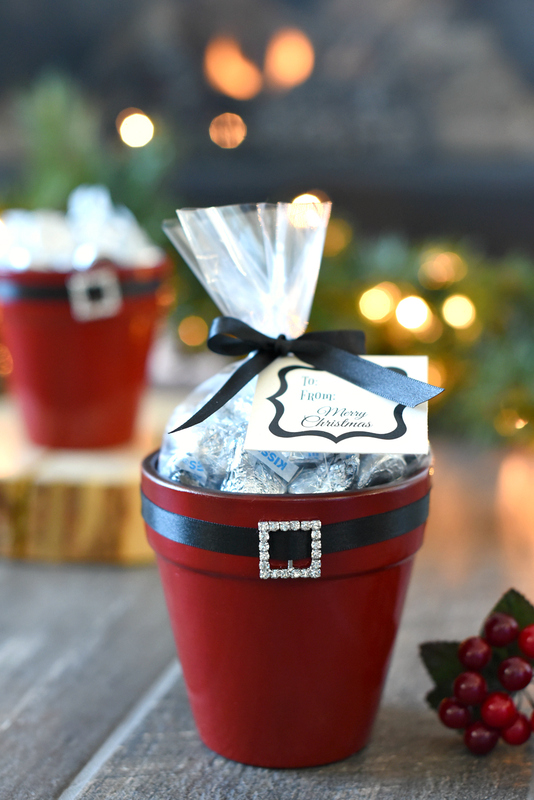 You can use them as a gift and you could also use them as a candy dish at a party (like this one). 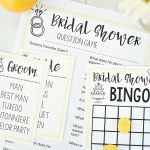 These are pretty easy to make! Here’s how. Start by painting your pots. They may need several coats. All these to dry completely. 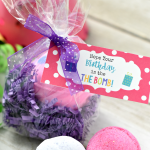 To make these, simply cut your ribbon a little bit longer than the diameter of the top of your pot. 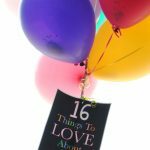 Slide your belt embellishment onto the ribbon and then glue your ribbon in place, overlapping just a little bit in the back. For the elf pots, cut your felt in a triangle pattern to make it the full length to fit around the top of the pot. If you need to you can piece together more than one piece of felt. Hot glue this in place. Then hot glue the bells to the end of each triangle. You can either right click and save this tag to your computer and then open in a program like Word or Pages and size how you want to print. Or we have a PDF with a bunch of them on it ready for you to print. 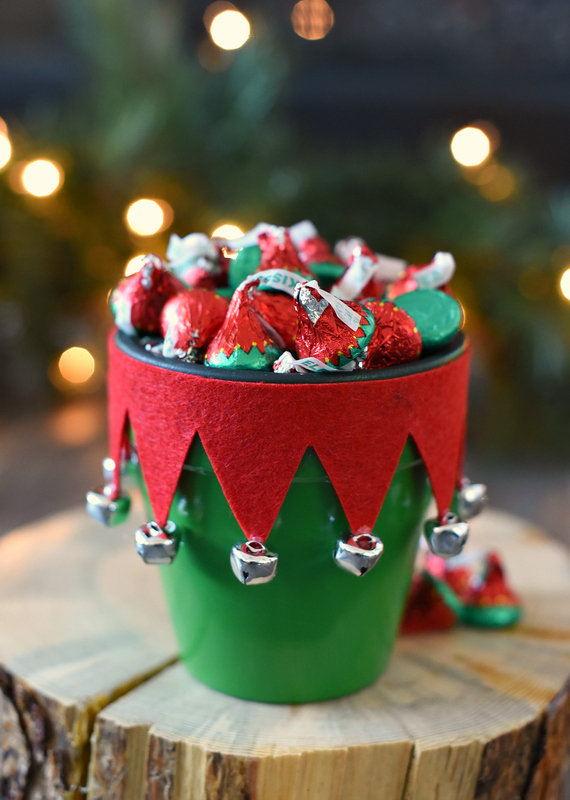 Have FUN making and giving this Elf and Santa Pot Gift Idea! 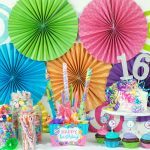 I love DIY projects, this idea is perfect for centerpieces too! What size pots do you use? You really could use any size. Ours are about 6 inches tall.